Lewis Carroll, Alice Through the Looking Glass, as quoted by Dave Bruce in ‘A Charlatan is Exposed’. Or how the WRP leadership pleaded with the world not to confuse them with the facts. This is a difficult chapter on a subject that most ‘Marxists’ avoid like the plague. The long quotations and detailed analysis that follow are necessary because it is, after all, one of the three component parts of Marxism and serious Trotskyists cannot leave it to be turned into a mystical cult by the likes of the Healyite Marxist Party. Gerry Healy had published his book, ‘Studies in Dialectical Materialism’ in October 1982. David North, leader of the US Workers League, sympathising section of the IC, produced some notes highly critical of it in the same month, during a visit to London. He also identified substantial areas of the WRP and IC’s political positions which had ‘drifted steadily away from a struggle for Trotskyism’. In his opinion this ‘began in 1978 and only began to predominate in 1978’. He cited the Middle East, Libya, Iran, Zimbabwe and the line on the Malvinas war. This was clearly a substantial political attack, as testified not only by the content of the documents, but also by the sharp tone of his attack on Healy. It can be seen in no other way than a bid for leadership of the IC at that time. These notes were published in October 1985 directly after the split as part of North’s claim for ‘continuity’ i.e. Trotsky’s mantle. Though he got the backing of Slaughter and Banda in 1982 to fight this ‘drift away from Trotskyism’, they ratted on him as soon as he had left the country. North abandoned his attack when Healy threatened a split. It never got beyond the knowledge of a few IC delegates at the time. Dave Bruce had written on this subject just before the split and Chris Bailey had written three document, two opposing North’s notes’ on Healy’s book in early January 1986 and towards the end of that year and one attacking the present WRP leadership in December 1988. 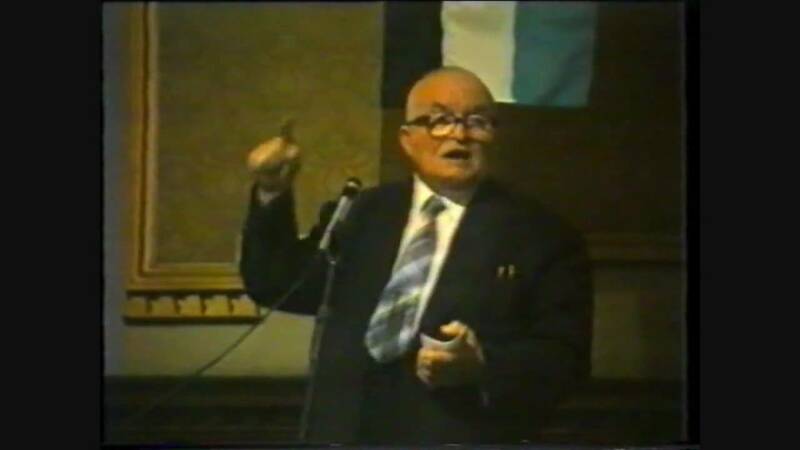 Just prior to the Hungary Revolution meeting of October 1988 there was an exchange of documents on the question of dialectics between Workers Power and Geoff Pilling, representing the WRP. It is best to take all these documents together to illustrate the problems of philosophy that continues to dog the WRP. North attacked Healy’s book from the angle that Healy was ‘Hegelianizing’ Marxism. He cited a number of instances in the book in which Hegel was lumped together with Marx, Engels and Lenin as the models for the training of revolutionary cadres. He stressed again and again that Healy was ignoring basic materialist positions and the primacy of matter over thought. Chris Bailey set out to demonstrate that North was counterposing a crude Healyite mechanical materialism to Healy’s mystical idealism a few months later. This economic determinism, the unstoppable juggernaut of the world revolution that trundled ever onwards, independently of will and consciousness, is basic Healyism, right back to the 40s. This eliminated the necessity for the revolutionary party to intervene in the class struggle providing the rational for the dogmatic, sectarian ideology which saw only the necessity to keep the doctrine pure until the masses called on Healy to lead the world revolution. So he could proclaim “I am the world revolution” after the 1985 split. In that respect North represents pure Healyism. In fact North did not at all attack Healy’s method, which was totally anti-Marxist and which was common to all the IC sections and still prevails in the both WRPs, in the Healyite Marxist Party and in North’s IC. He did not analyse what was the basic method of Healy’s ‘Studies’ and how it revealed Healy’s true political position and methods of party control so opposed to democratic centralism and Marxism. Healyism was essentially a substitution of subjective speculation for a detailed Marxist analysis of objective reality. Certainly Healy’s book was totally incomprehensible to me as well as to everybody else I discussed it with pre-split. In fact Torrance once confided in a puzzled student at a Summer school that only Healy could understand Dialectical Materialism at the present. Since Healy is now dead that leaves only One (God!) who can understand it, presumably (1). It was such an enormous relief to discover that the reason I could not understand it was nothing to do with my own stupidity or even my own ‘class position’, as Healy never tired of telling everybody who expressed confusion on the subject. The reason no one understood what Healy wrote was that it was almost total gibberish. This was what North avoided and what Dave Bruce explained so well in his document. It is worth noting that all sections of the WRP and IC totally ignored Bruce’s contribution, undoubtedly because it was perceived as an attack on the entire ideology that guided, and still guides all these charlatans. North was recommending a study of ‘Studies’ to all US branches just one month before the split, despite his extremely serious criticisms of the book three years before. In his twenty three page document ‘A Charlatan is Exposed’, August 1985, Bruce systematically takes the first Chapter of ‘Studies’: ‘Subjective Idealism Today’ and demolishes it totally. In these quotations the male gender is used for humanity as a whole. That is a product of the fact that this philosophy originated before there was much consciousness of the double oppression of women or socialist struggle against it. Such terminology would be unacceptable today from any progressive socialist. “The book is a fraud. The central tenet of the philosophy is a caricature of subjective idealism with all its vices and none of the virtues of honest philosophical debate. But this is not the point. We are not dealing with a wrong philosophy, an idealist outlook or even an eclectic mishmash. We face the degeneration of thought itself, right at the heart of Trotskyism”. “Dialectical Materialists get to know the world initially through a process of Cognition”. “Which is to say ‘Dialectical Materialists cognise the world initially through a process of cognition.’ How the rest of unfortunate mankind manages to avoid falling under the first bus to pass their door remains a mystery. ‘The most enthusiastic purveyors of such class filth are, of course, the upper and the lower middle class who are groomed for the Job in those schools and universities that make the whole affair seem positively decent and respectable from the stand-point of their grubby individual needs’. Perhaps if bourgeois culture in any form has little to offer, then maybe the day to day experience of party work selects the chosen few? Engels’ enjoinder to develop the art of thinking in concepts and categories by studying the history of philosophy; Lenin’s insistence that Marx’s great work on dialectics was ‘Capital’ itself and his recommendation to study Marx, Engels, Plekhanov, Mehring; Trotsky’s drawing attention to the importance of studying the first four congresses of the Comintern – none of these rate a mention. Let us leave the newcomer to flounder for a moment and see how the dialectical materialist – so called – undergoes this ‘process of Cognition’. The empirical observer argued that concepts developed in the mind of an individual out of his or her experience -the gradual accumulation and analytical abstraction of the datum of sense, Images, or as Locke calls them, ideas are the basis on which concepts are formed. The mind of a child is a ‘tabula rasa’, a blank tablet on which nature leaves its mark. The Rationalists, stressing the role of reason and the ability to conceive of mathematical abstractions, held that concepts could not be developed merely out of experience but were innate or God-given. Hegel, building on Kant’s ‘Critique of Pure Reason’ showed that, for philosophy, the question was not how concepts developed ontologically, (i.e. in the mind of the individual) but historically in society. He distinguished between psychology and philosophy – and this distinction is crucial for Marxism. The best that can be said of ‘images are processed as concepts of phenomena’ is that it is misunderstood empiricism without the clarity of the empirical philosopher. The empiricist spoke of ‘experience’, not mere sensation. ‘Experience’ is a broader category, which avoids rather than tackles the distinction between psychology and philosophy, but is nonetheless more profound than mere sensation. Use of phrases such as subjective idealism (just what Kant was not), Kantianism, etc liberally throughout the book cannot obscure that an alchemist view of befuddled phrases conceals a wrong conception of the problem that Kant was trying to solve. Hegel showed one way out of the problem, arguing that the movement of things could be grasped in the consciousness of man only as a social and historical phenomenon. The contradictions in thought – Kant’s Antimony of Thought – are not the fault of reason but actually reflect the contradictory nature of things: their movement and change. The form of thought is historically conditioned and socially manifest. The distinction is between the mechanisms of thought – studied by psychology and the social history of thought, its concepts and categories, which is the province of philosophy. Concepts and categories develop not simply in the minds of this or that individual – Dialectical Materialist or mere mortal – but manifest the entire culture of mankind -Spirit. The study of thought is therefore the study of appearance (Phenomena as Kant calls it) of this: truly ‘The phenomenology of Spirit’. The tracing of the path of cognition – social thought in its historical setting – far from being from the individual to society is, in fact, the other way around. 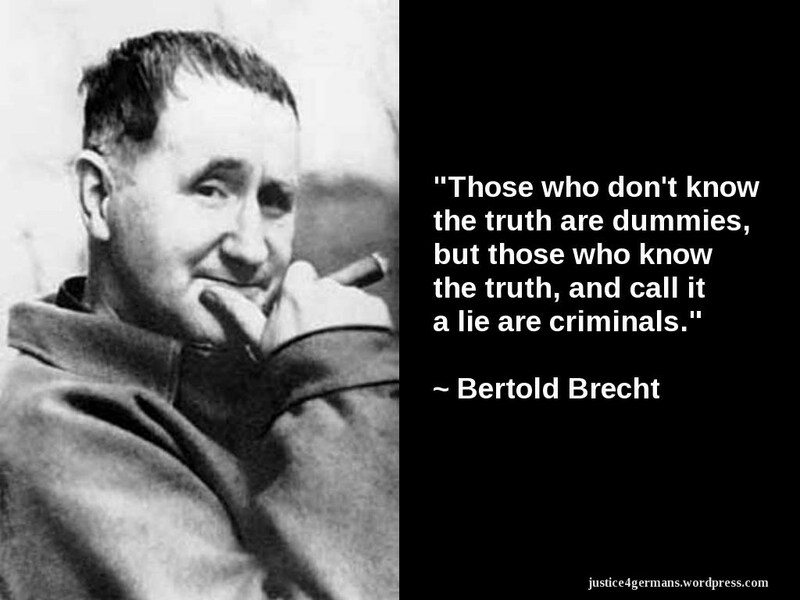 No amount of quasi-Hegelian phrases which pepper ‘Studies” can hide this crude error. Hegel’s great conception is perpetually confused with the form of thinking and perception individuals. …Semblance is the illusory side of appearance: things which appear as that which they are not. This small point has occupied the minds of the greatest philosophers for over two millennia: how fortunate that the Dialectical Materialist is so privileged by his ability to cognise that he does not even have to consider it. As said above for the empiricist the source of knowledge is experience. Hegel praised them in the small ‘Logic’: From the empiricists came the cry: “Stop roaming in empty abstractions, keep your eyes open, lay hold on man and nature as they are you, enjoy the present moment.” Nobody can deny there is a great deal of truth in these words, what was here and now was a good exchange for the futile other world – for the mirages and chimeras of abstract understanding (page 62). Bacon argued (The Advancement of Learning’) that the senses are reliable if we trained them, took care to look again and again, not to deceive ourselves etc. But Leibniz and the other rationalists showed that sensation cannot reveal essence. Nobody ever has the same sensation twice, nor do two people ever see the same object in the same way. Everyone knows what a six-sided cube is, but who, without moving, has ever seen more than three sides of a cube? How do we know if the famous stick, half in and half out of the water, is really bent? Only Reason can overcome the unreliability of sensation. If there is harmony between what we see in the world and what is in thought – if there can be knowledge – then this harmony is pre-established by God. Bruce has amply demonstrated that Healy’s ‘philosophy’ did not approach the insight of the great philosophers of early, progressive bourgeois society into the relationship between humanity and nature or, more correctly, comprehend what was progressive and what was historically limited in their theories of the relation-ship of being (man and nature) and consciousness. He goes on to demonstrate that Healy could not have anything like a correct understanding of Marxism without this insight. Marxism is abstracted from the understanding that it is culmination of all that was progressive in previous philosophy, but stripped of their mysticism, consequent on the hidden nature of human oppression, and placed on the real foundation of man as part of nature and the dialectical interaction of being and consciousness. Being does determine consciousness, but dialectically. This understanding was not possible before the appearance on the scene of the working class, as a class, of and for itself. The revolt of the working class in the French city of Lyon in 1835 was when this first occurred, according to Engels. By overthrowing its own oppressors the working class would eventually end all oppression and classes and thereby liberate all humanity. ‘The cornerstone of materialism is the notion that thought is the reflection of matter in the mind of man. All philosophy grasped that this relationship was more than a ‘mirror’ reflection: the giants of the eighteenth century – Diderot and Rousseau above all – touched on the dialectic of nature and society. Kant placed the contradictory nature of thought fair at the centre of his ‘Critique’. 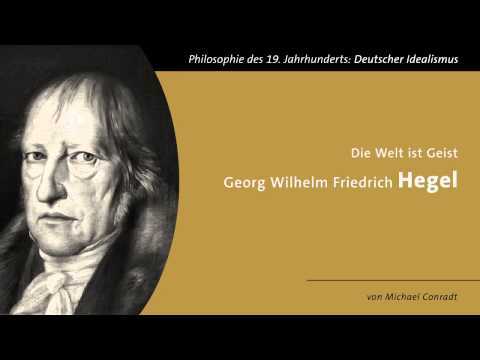 Hegel’s crowning achievement was to show that this dialectic of thought was a reflection of the dialectic of things, which was itself the ‘alienation’ of the Absolute Idea. What determined the idealistic form of his thought? First, the inability of mechanical materialism to tackle the link between social being and social consciousness and the failed dreams of the Enlightenment, which had promised so much but whose actuality was the French bourgeois regime and the collapse of the Napoleonic empire. Second, the other side of this development – a class which, to end its own oppression, had to end all class oppression – had yet to enter the arena of history. ‘From synthesis… Dialectical Logic takes over and reveals concepts and categories for analysis’? ‘According to Hegel, dialectics is the self-development of the concept. The absolute concept does not only exist -unknown where from eternity; it is also the living soul of the whole existing world. It develops into itself through all the preliminary stages that are treated in the ‘Logic’ and which are included in it. Then it ‘alienates’ itself by changing into nature, where, without consciousness of itself, disguised as the necessity of nature, it goes through a new development and finally comes to self-consciousness in man. We emphasised the essence of Leninist materialism by stressing that if ever the student was in doubt, the origins of materialism were always from without, reflected in the form of sensation, whereas the origins of idealism were from within and resulted in thoughts being imposed on the material world, rather than being derived from it. This was the starting point for Plekhanov to analyse the role of the individual. Healy never even made the stalls! In the light of hindsight these comments should have been given a more careful reading and warning bells should have rung. Bailey was clearly here arguing for a continuity of Trotskyism running through the ICFI tradition. The difficulty was that North was insisting on continuing of the mindless activism of ‘party building’ separated from the class struggle which left the membership no time or inclination to develop theoretically (he wanted to keep the daily News Line going and regarded the decision to go to a weekly paper as a great betrayal) and so ensure a ‘cadre’ supine foot-sloggers. Banda, on the other hand wanted to smash the Party up entirely (Tony Banda, Mike’s brother and Janet, Mike’s wife, wanted to salvage some of the property for themselves by holding on to their shares in the Party’s companies). 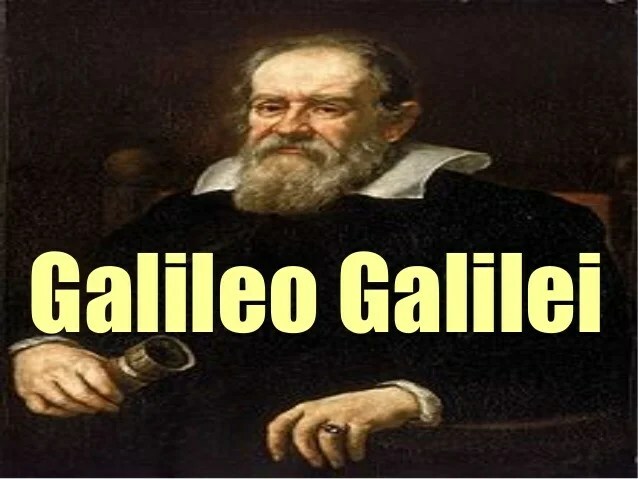 Out of all this confusion the above position was understandable, at that time, but it has to be said it was a thoroughly idealist and dangerous position. It is impossible to postpone the ‘task of developing the perspectives and work of the individual sections’ (indefinitely, as it turned out) and re-establish the authority of the ICFI by overcoming the “false theoretical foundations on which they are based’ alone. A new party practice had to be established a theoretical examination had to go hand in hand with the attempt to establish ‘communist relations’ with the working class. It had to be the collective experience of the Party, together with the struggle to develop theory as a guide to practice that practice that educated the Party, not North’s ‘Heritage we Defend’ which was only possible free from critical challenge from the membership of the post-explosion WRP not Banda’s nihilism nor the liberal-reactionary, ride-the-storm, bow-to-the-wind ideology of Slaughter. The procrastination on this resulted in the political destruction of many good militants. Some theory and some perspectives had to guide the work in the trade unions (as Thornett observed, the idea of members working in trade unions as ‘individual communists’ is a farce) and since the WRP had no perspectives for trade union work, bourgeois theory and adaptation to left bureaucrats was the only method practiced. It was this relationship that went unchallenged, and this was to prove the basic political arts in the new WRP. Bailey, however unconsciously, was conceding to that political pressure. Sy Landy, of the US League for the Revolutionary Party, was the only one to assess Bailey’s article. His observations, in a letter to Bailey on 29 July 1987 proved prophetic. He has a very rigid understanding of what a class analysis is and complains that Bailey has made no class analysis of Healy. He accuses all Trotskyists (and Trotsky too over Poland, presumably) of abandoning a class analysis by saying that the Stalinists overthrew the property relations in Eastern Europe. I cannot demand that you include all aspects of a question, that is a charlatan approach. However I can say that in leaving the question where you do, you come to an unnecessary stagist conclusion: first study or theory and then practical intervention. This in turn leads to (or reflects) an initially inactive posture or attitude towards revolutionary tasks. The task of philosophers is not to give up study and conceptual work but to link it to practical revolutionary intervention, which is for us, its raison d’être”. ‘Philosophers have interpreted the world, the point is to change it’, eh? “Materialist dialectics bound theory and practice together as separate parts of a unified whole. In this sense Marxism signalled the end of philosophy’. Of course defending the philosophical foundations of Marxism’ from the attacks of idealists or anti-dialecticians is vital but this never came to be seen as dialectical materialism as such. Effectively this is what happened with Healy, who turned dialectical materialism into little more than one of its parts, namely, epistemology (the theory of knowledge). So this was the first mistake: to construct a philosophy of Marxism instead of training party cadre in the use of materialist dialectic in the study of different social, political and historical problems which demand that one come to grips with the specific nature of the subject matter being studied”. “Both sides in the dispute over Cuba were guilty of vulgar thought which failed to come to terms with this contradictory phenomenon. For the SWP (US) Hansen said that nationalisations equals the social revolution equals workers state, secondly, since Stalinism is counter-revolutionary, anyone who makes a revolution cannot be a Stalinist. By combining empiricism with formal logic the SWP (US) made a whole series of pragmatic deductions from first principles’. Against this the SLL under Healy and Slaughter did virtually the same methodologically but with a reverse content. They simply argued that nationalisations, when not carried out by the victorious proletariat in its own soviets can only result in state capitalism. They insisted that Castro was a petty bourgeois nationalist and that, therefore, by definition, Castro’s movement could not overthrow capitalism. Both sides failed to look concretely at the struggle between workers and bourgeois in Cuba, between the USA and the USSR, the pace of development of nationalisations (i.e. the total expropriation of imperialist and Cuban interests and the planning of production). Whereas their analysis led the SWP (US) to hail any nationalising petty bourgeois regime (e.g. Algeria, Syria, Nicaragua) as a workers and peasants government or even a workers state, Healy and company refused to see an overthrow of capitalism when it hit them between the eyes”. “They (the SLL’s disputes with the SWP) did attempt to raise the discussion on what seemed to be concrete questions (the nature of the Cuban revolution etc.) to a more universal level and to tackle those philosophical questions of empiricism and pragmatism of which Trotsky spoke with such deliberate emphasis at the time of the Burnham, Shachtman split. However incomplete this work was, it was attempting to deal with a real problem, the adaption of an entire section of the movement, led by the American SWP, to adapt to a new reality”. Having denied the facts in this case, the next step was to proceed to deny facts in general. The world was as G Healy declared it to be! The chief architect in providing a theoretical justification for this, at least in the early stages was Cliff Slaughter… This (denial of facts in general) was done in the form of a so-called fight against empiricism”. There is some problem with Bailey’s position on the lack of any viable theory on the expropriation of capitalism in Eastern Europe after the war. The point is that the theories developed were inconsistently applied and abandoned opportunistically whenever short-term gains beckoned. Bailey goes on to prove that Slaughter’s attack on the position of the SWP is even more reactionary than Hansen’s, by its refusal to examine the real world. What could you say to that kind of arrogance? ‘So we were wrong in 1963, so what, it was just as good as being right, because facts do not matter, what matters is being for a revolutionary party in Cuba”. Any decent multi-national company would want subsidiaries abroad. Why you were not able to build one is nothing to do with not being able to politically assess the situation in Cuba! ‘In short purposeful labour is the key to our understanding. ‘The motor force of human history is the conflict between a monopoly of the decisive means of the labour of another class”. This is plain wrong, though it might pass for good coin in some circles. Whatever else can be deduced from the labour process it most definitely is not the nature of society (and it is about the nature of society that Engels is speaking of at that point in the graveyard speech.) The labour process is common to all societies: in all societies man must procure from nature his food, clothing, shelter and these are undoubtedly the basis elements of life. But this fact can tell us absolutely nothing about why this labour process assumes specific social forms at different points in history and why these social forms (relations of production) are periodically overthrown. Marx actually starts from quite a different conception: from the social relations of production. It is these relations, not man’s struggle against nature, which constitutes the foundations of society. And as such the production relations furnish the only key to understanding all the other elements of society: its politics, religion art etc. To the above analysis of the position of the Workers Power I need to add a little. Workers Power is now much more clearly moving in the direction of syndicalism and rank-and-fileism, still victim of its SWP origins. The quotation from Lenin’s ‘What is To Be Done” to the effect that revolutionary consciousness must be brought into the working class from without by the intervention of the revolutionary party is the most apt here and Pilling’s contribution does not emphasise this aspect sufficiently. The very conception that we must get closer to the working class by abandoning more controversial aspects of Trotskyism, or at least remaining silent on them is a reflection of opportunism and is implicit in the idea that the class struggle is the motor force of history. Finally in this section, I must note that the SLL/WRP was one of the few organisations calling itself Trotskyist that addressed the question of Dialectical Materialism at all. That it was so perverted by Healy speaks of a very low level of ideological understanding in the working class, surely consequent on the defeats inflicted on the movement by the betrayals of Stalinism and social democracy. 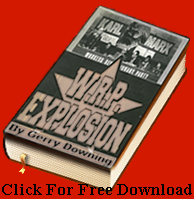 That a significant effort was made in the WRP (Workers Press) to rescue Marxism from that perversion, principally by Dave Bruce and Chris Bailey is also true. If that effort failed, due to failure to tackle the pressing political problems of the old leadership, then something was gained. It remains to put those gains into practice, not to admire them as contributions to history. « NO TO THE CANCELLATION OF THE REFERENDUM. NO UNTIL THE END! PROLETARIAN DEFENCE AGAINST THE BOURGEOIS SABOTAGE.